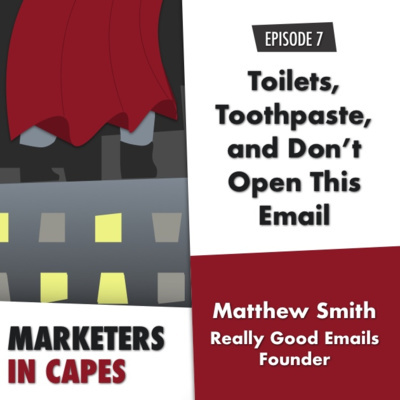 Marketers In Capes (formally Two Minute Marketing) shares rapid-fire practical marketing advice. 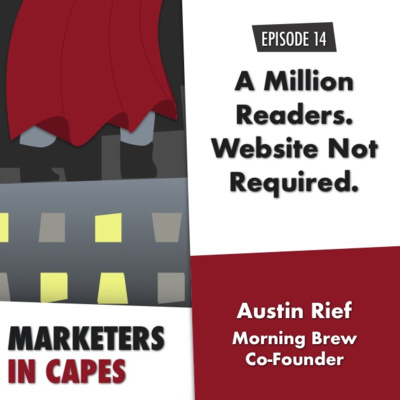 In less than ten minutes, each episode asks real marketing heroes, famous or not, how they do what they do so well. What Wistia’s $111,000 Videos Mean For Marketers. Mo money, more videos? What if you could drop over $100,000 to test if video production value impacts ROI? And if it's not all about production, what else drives views, reads, and sales? 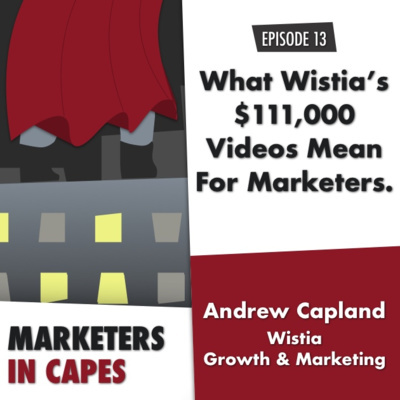 I got Andrew Capland, Wistia's marketing director, to dive deep on a a hella expensive experiment they ran that did just that, how he optimizes growth funnels, some killer video ad distribution tips, and more. And it's all crammed into 7:30 minutes of pure insights (and another 10 seconds of me goofing off). I'm what you may call a biased audience...but this is good episode. Content is typically the domain of very, very cool marketers (like us, right?). 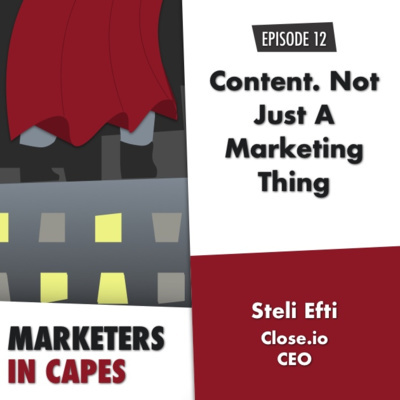 But Steli Efti, the CEO of Close.io, is building a sales-driven CRM machine by leveraging content across the funnel. 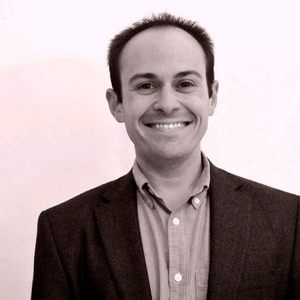 This guy gets it; he's written a baker's dozen of sales books and is scaling a Y-Combinator backed powerhouse. Plus, how often do you hear a sales guy say things like this: I'd rather have like an ideal customer share a blog post that we have with 30 other ideal customers that's much more valuable to me than getting some celebrity to tweet about our content that gets us 100,000 uniques from an audience that could never purchase our product Tune in for the three core ingredients on how Steli built (and is scaling) a huge sales+marketing machine. And for witty jokes by me. What more could you want? 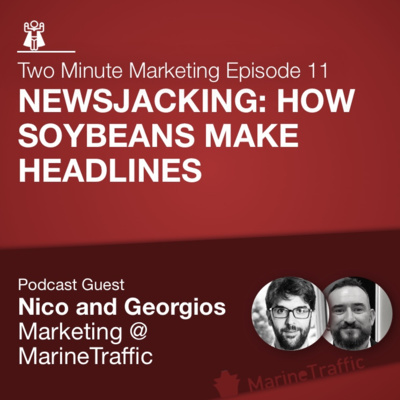 In just five minutes...you'll dive deep into how a combination of data, storytelling, and emotions can take even the most boring story - trade tariffs - and secure press mentions across Quartz, Reuters, and others, all based on real-world experience from the folks at MarineTraffic. 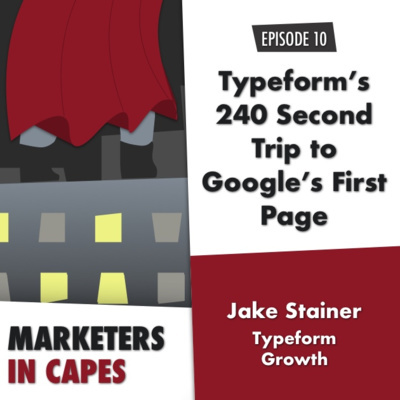 In episode 10 of Two Minute Marketing (which is actually almost ten minutes long), we dive into customer acquisition with the head of Typeform's acquisition team, Jake Stainer. We hit three-letter acronyms hard, discussing SEO strategies (quick summaries at the top FTW), CRO (qualitative, not just quantitative), and PPC (just listen, okay?). This is the real deal, folks. Enjoy. Like Luke and Darth, blue dress or gold dress, SEO vs content is a debate that tends to polarize. But in this interview with Tim Soulo, the head of marketing at ahrefs.com, it turns out that it might not be so complicated. 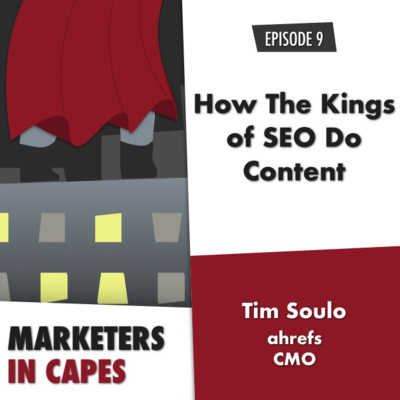 Tim shares the content strategy that ahrefs uses to drive decision making, why SEO is really the most customer-friendly acquisition channel, and I summarize four core tips for YouTube content success. Any monkey can change button colors. But for CRO (conversion rate optimization) to work, it needs a rigorous process. You know who has one? Talia Wolf, the founder of GetUplift. Tune in to learn why you shouldn't listen to your grandfather, what CRO best practices aren't...and how low I'm willing to go for a good(ish) pun. Over 280 billion emails are thought to be sent every single day. Which makes it hard to get yours opened when you need it to be opened. So I went to the person who clearly knows that makes an email good, Matthew Smith, a design and customer experience wiz show came up with Really Good Emails (RGE), possibly the best email resource in the world. And I trust him, because I open their emails every. Single Time. Give it a listen to hear where emails are going in the future, how they nail their brand voice, and the internal process for creating emails. This episode happened because Mixpanel's website messaging moved me on a whole other level (the subject line in my email to them was "Your website is poetry.") So I got them on TMM to figure out how they actually did it. 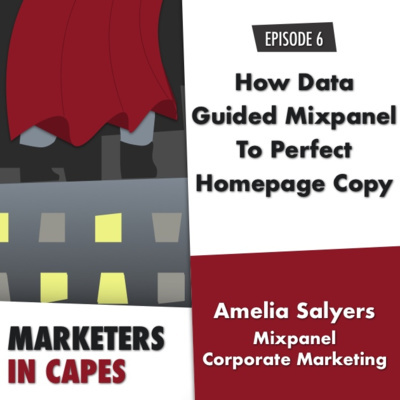 Amelia Salyers, who runs corporate marketing at Mixpanel, walks us through the process of merging data and some old-fashioned research to come up with the perfect mix. 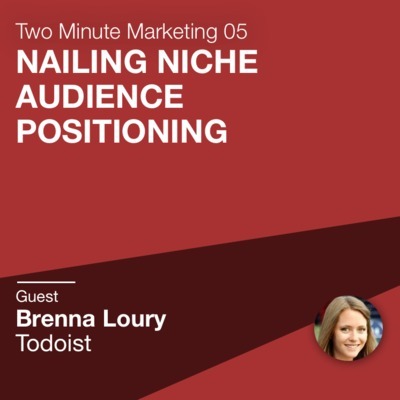 In this episode, we talk to Brenna Loury about how Toidoist became such a runaway success in the incredibly crowded productivity space. We also talk about real practical manifestations of positioning and early-stage growth, all on a budget. This episode explores the concept of triggers, internal or external drivers that make us tick. 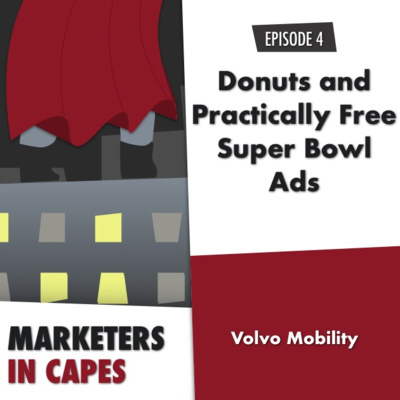 Kicking off with some deliciously smelling donuts, we talk to the former head of Volvo North America and learn how the best car Super Bowl advertisement ever went down...without paying for a Super Bowl ad. This episode, featuring Rand Fishkin (aka the godfather of SEO), drills down on growth hacks and their role as part of a comprehensive marketing strategy. Rand also shares the core channels that Moz leveraged to scale. And boy, did those do the trick. David Cancel, the CEO of Drift, shares how differentiating from thousands of competitors isn't just about your product....and what it is that customers actually want.